500gsm PVC Outdoor Banner Printing. Vinyl banners high quality and very strong. Hemmed and eyeletted. Why pay for cheap banners that rip in the winds! Lightweight with a corrugated centre (aka fluted polypropylene). Used by estate agents for advertising boards. Ideal for lamp post and side of road advertising. Light weight and we print using fade resistant inks. A solid and strong, yet lightweight material which is extremely versatile. We have a wide range of thicknesses. Ideal sign solutions for indoor and outdoor messages. Printed using our UV fade resistant inks. With our CNC cutter we can cut to shape. All sizes and a wide range of material. If you need A1 posters to advertise your new service. 40x60 posters to promote your sale. A2 posters to show information. 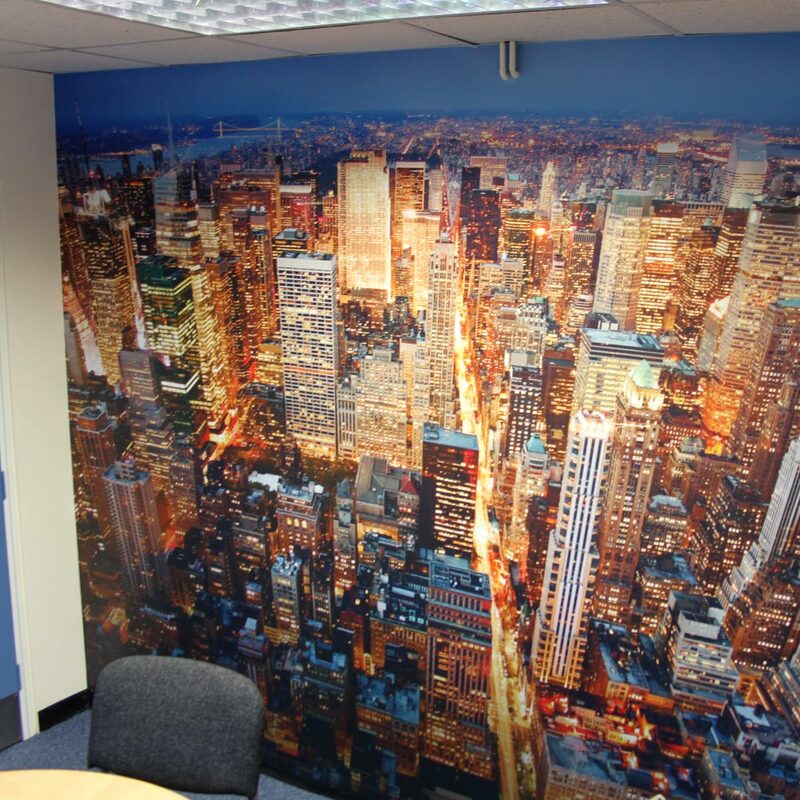 Digitally printed Wallpaper printed on non fade green technology inks. We have prepasted or repositionable materials that are easy to fit and make an amazing impact to your wall space. 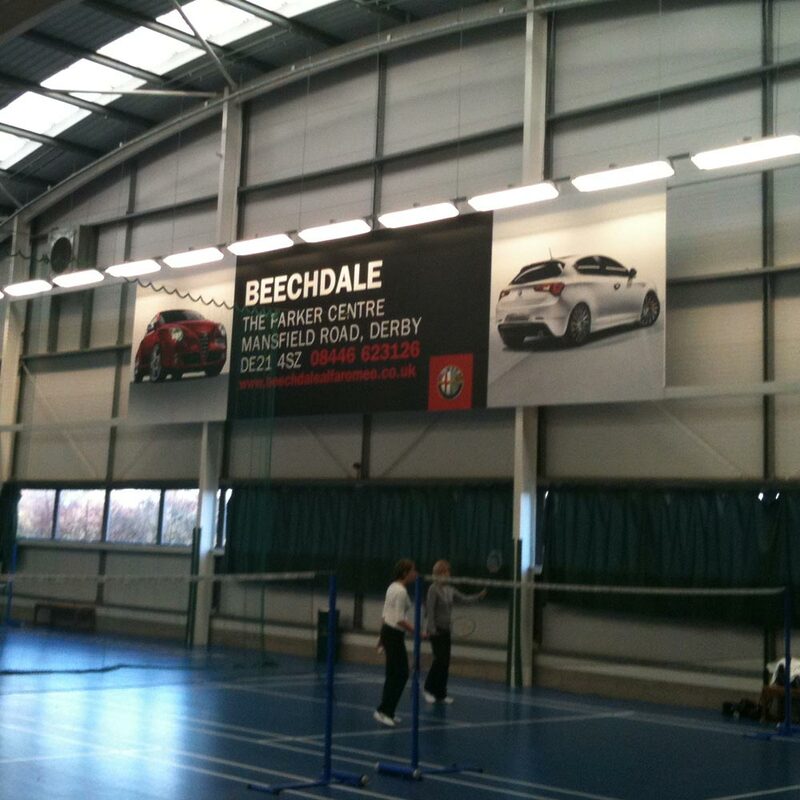 Any size, any specification, any finishing requirement in PVC, Mesh and 740gsm double sided. Internal and external boards printed using fade resistant inks from PVC to light weight correx. Specialist Correx printing Edinburgh. Personalised gifts printed with your images and messages, makes the gift very personal. From mousemats to mugs, Santa Sacks to jigsaws, we have the personalised gift to make your present event more special. Posters printed on all types of material from backlit to waterproof synthetic, 190gsm silk to blue back. All sizes and wide range of medias. 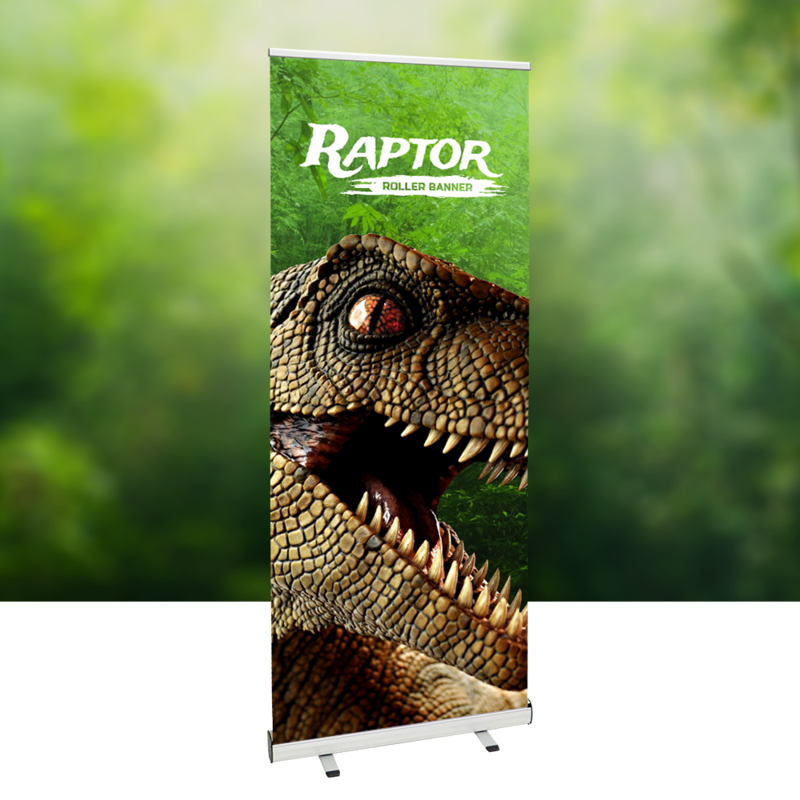 High quality indoor and outdoor roller banners with popup graphics. From as little as £29.99+vat. Available also as double sided and removable cartridge options. 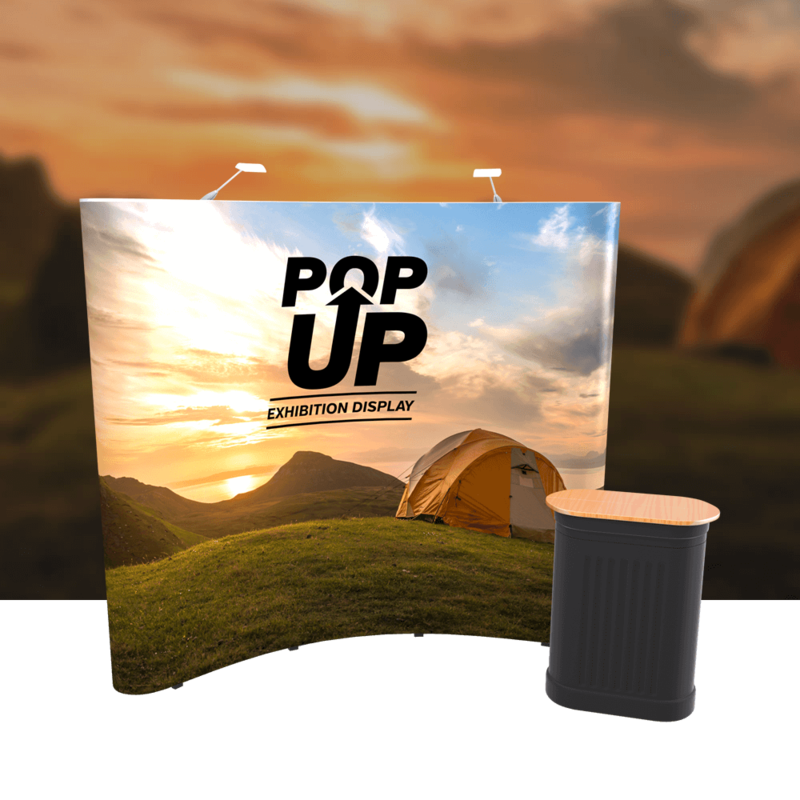 Popup display units made of fabric so assembled in minutes and light weight for transportation. 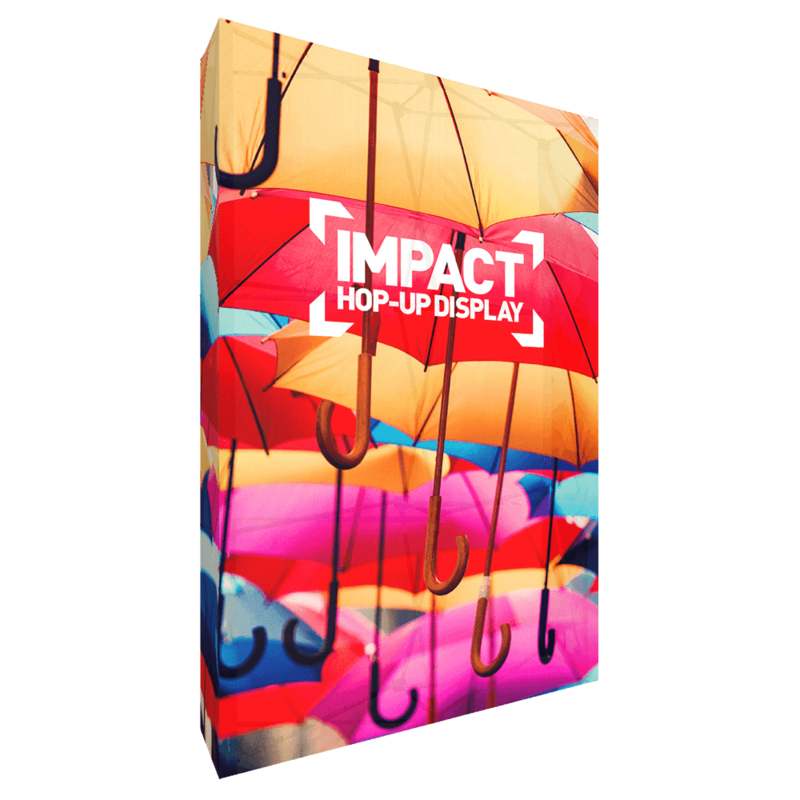 Counters printed with your latest promotion, literature stands to hold your brochures, pop up exhibition stands for your next show, snap frames to hold your posters - we have it all. 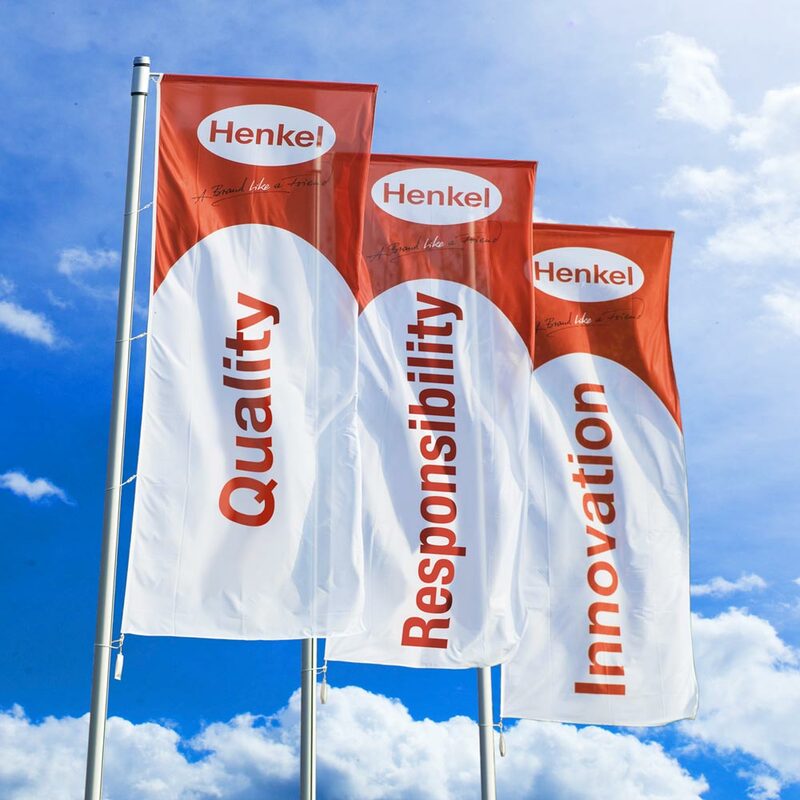 Banner stands of various sizes, balloons printed with your message, inflatable displays, outdoor light boxes to illuminate your new services, counters and popup fabric stoways. 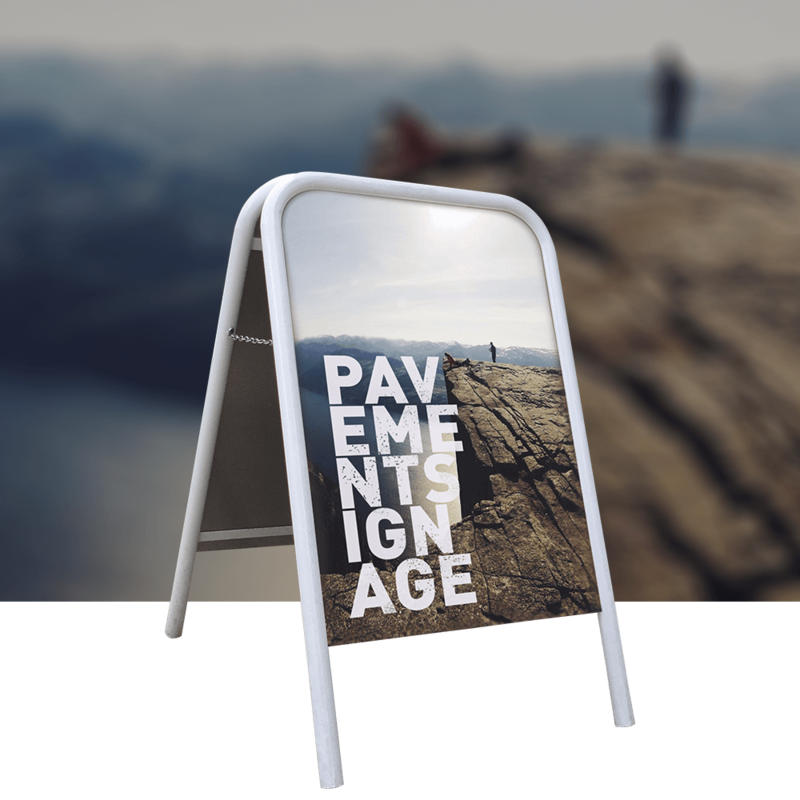 Pavement signs to hold posters of all sizes. Wooden chalk boards to promote your new offers. Swing signs with poster and fixed message options. Storm units with water bases and wheels. Wide range of fabrics available that can be made into backdrops, fabric banners or flags. With options for blockout and different weights of fabrics we have a large range to select from. If you require Giclee prints we can print onto materials like Somerset Velvet or 100% Cotton with fade resistant inks. 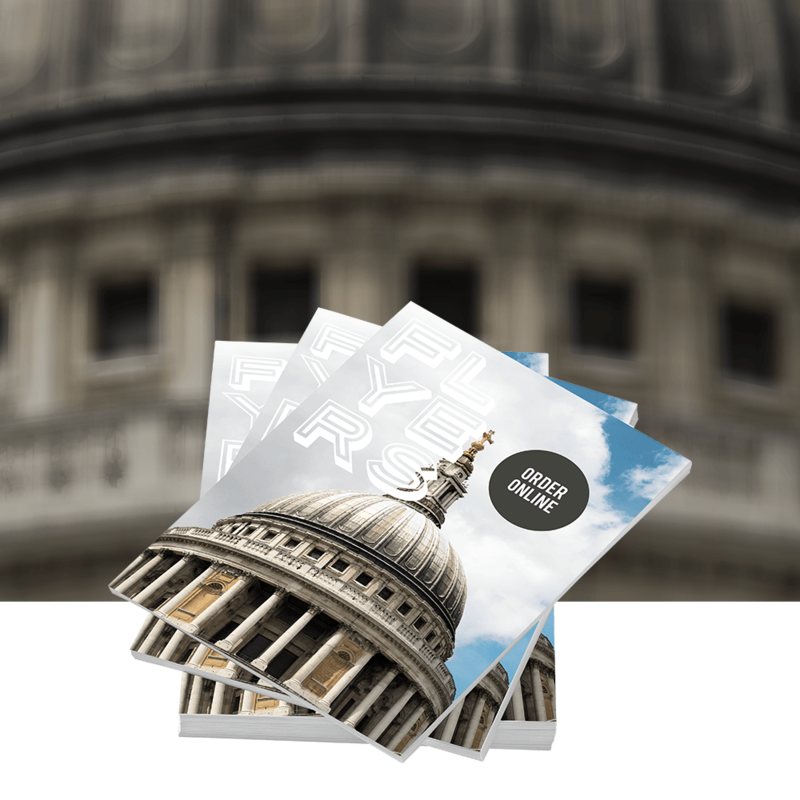 Whatever the size or quantity you require we can provide the highest quality print from your images. 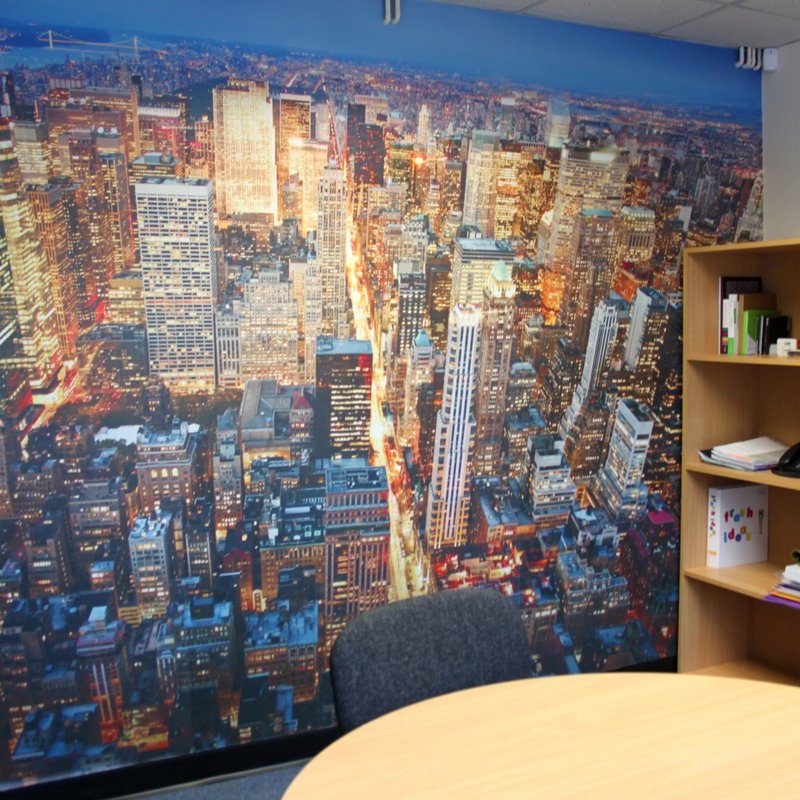 We can produce any artwork or image you want on our personalised wallpaper which comes prepasted for easy installation. Also we have an EasyDot easy to apply product that will stick to virtually any surface and can be removed without leaving residue. Vinyl graphics printed on various materials. Idea for stickers, graphics for vehicles. We can cut to any shape if required. 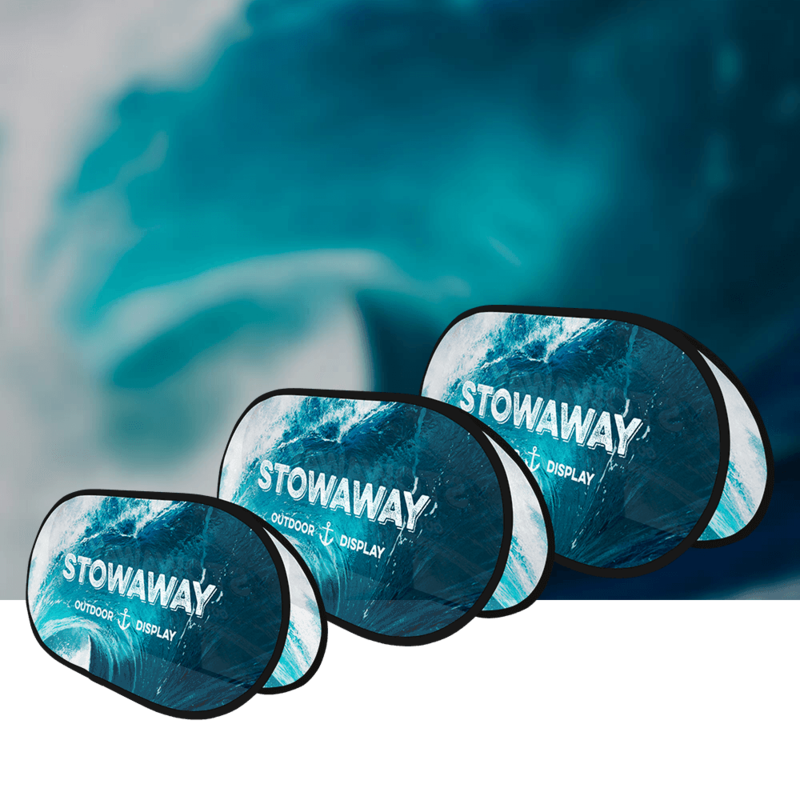 From removeable window graphics which you can reuse and remove without residue to one way vision graphics which allows you to see out and not see in we have the complete window graphic solutions. 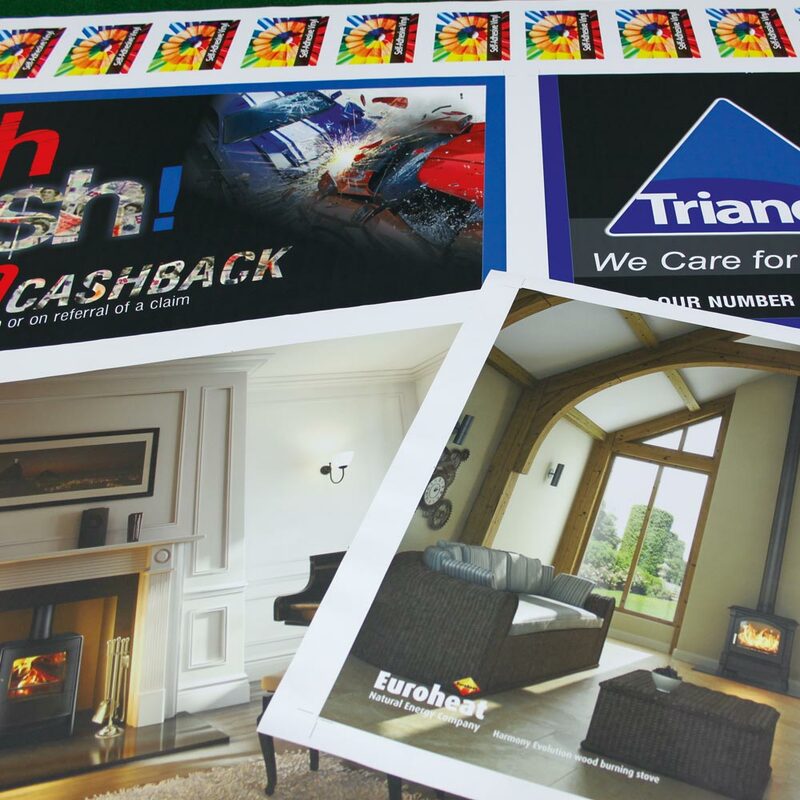 We provide a wide range of print & display solutions for indoor and outdoor requirements. 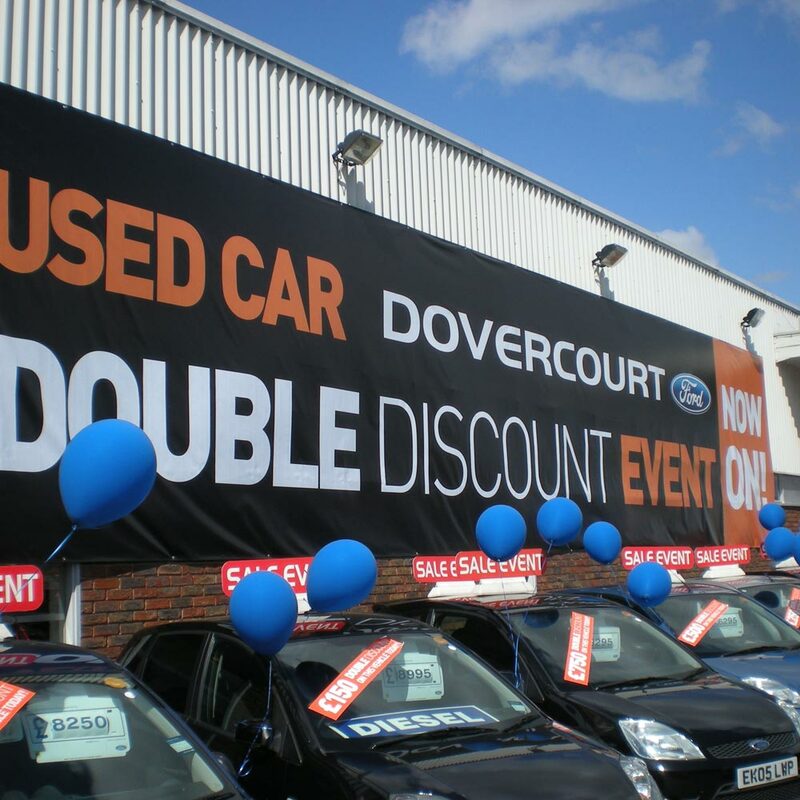 Whether you want a large banner to advertise your latest offer, 5000 A5 leaflets or a pavement sign to advertise your new services. 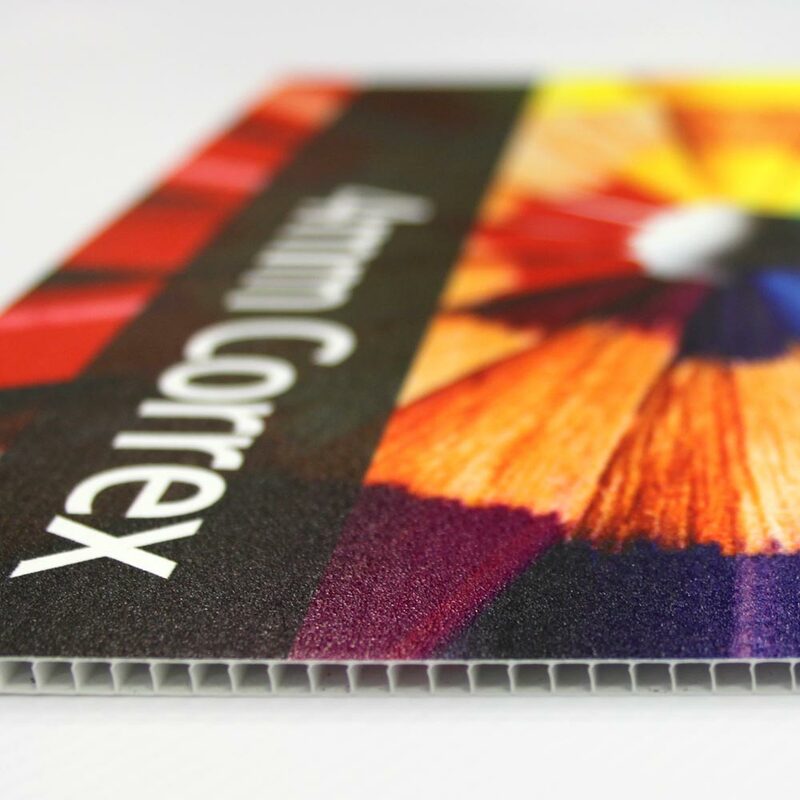 Correx board printing, dibond and foamex boards printed using the latest in LED UV ink technology. 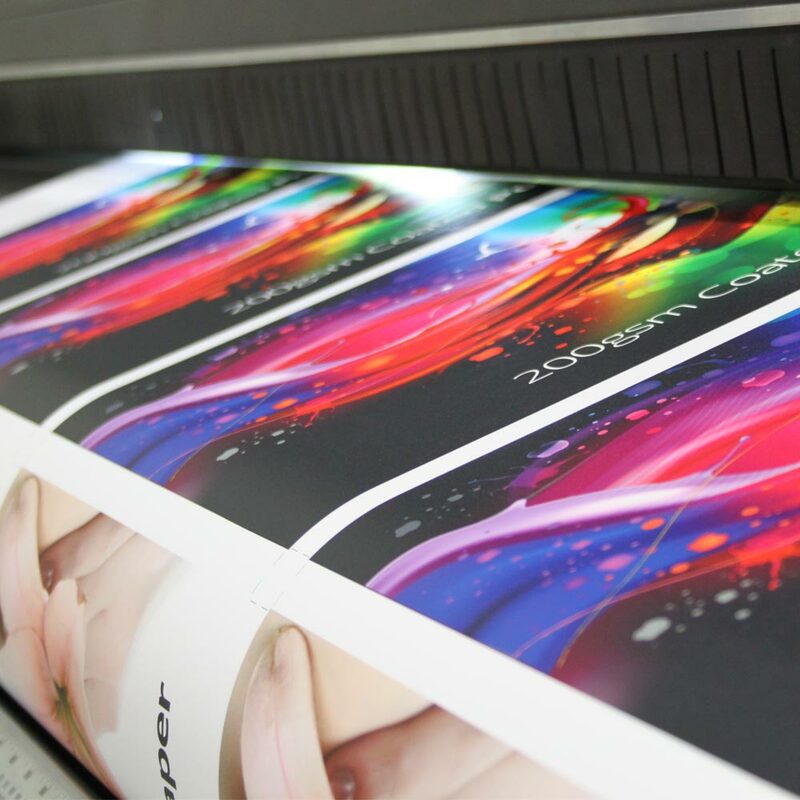 Using the latest in digital printing technology we can print on metals, wall papers, window graphics, correx boards, PVC, fabrics, vinyls, papers, cardboards, plastics, virtually any material - contact us with your requirements. We have no minimum quantities on most products and services we provide so if you want a one off or 1000s give us a try. 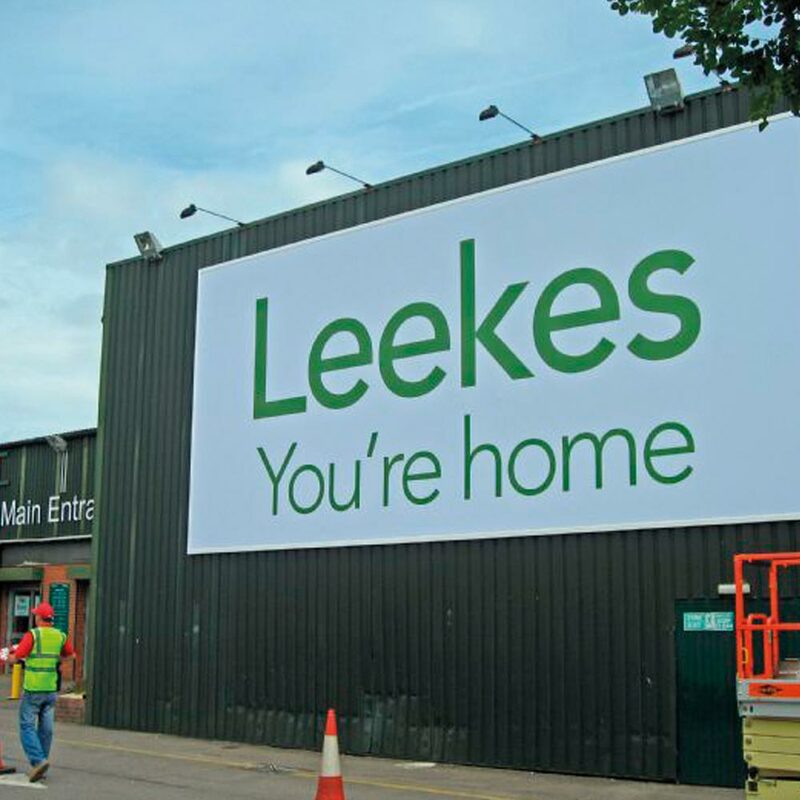 Fantasy Prints provides all kinds of signage solutions and we can install in Berwick-upon-Tweed, Eyemouth, Northumberland, Scottish Borders, Edinburgh and if required all over the UK. Whether you need graphics for your vehicle or a shop sign or graphics for your windows we can provide the complete solutions. For all you signage requirements including simple safety signs to illuminated 3D outdoor shop signs. We can provide design, manufacturer and installation service. Whatever your requirements contact us today. With our EFI Vutek LED UV printer we can print directly any material - if you need a correx board printed to advertise your business at the side of a road, to foamex boards for signage. With our CNC cutter we can also shape boards, add rounded corners, etc. So if you need correx signs, letterheads, a pavement sign, a uniform for your team we can supply. If you need any further information or not 100% sure what you need contact us on 01289 303242 or email hello@fantasyprints.co.uk and we will help you with whatever requirement you need. Large quantity or selling to the trade? Get in touch about our available discounts send all your company details and requirements to trade@fantasyprints.co.uk. Signs have arrived, looking fantastic, thanks for brilliant service! Pleasure to meet you and I must say what brilliant and helpful staff you have , young lady helped me and as a result I have ordered a further two items of work wear for myself. I'm sorry I never got her name but she is a real credit to your company and an asset.